Here are the top ten wrestling episodes you can stream on Hulu right now, as of today, March 20, 2018. Here’s a top ten list of the best animated wrestling episodes you can stream on Hulu right now, as of today, March 13, 2018. I dare you to find a more niche Hulu streaming list. With International Women’s Day having just passed, and it being National Women’s History Month, I realized I could do more to spotlight the representation of women’s wrestling (both good and bad) in pop culture. And wouldn’t you know it, there’s enough TV episodes featuring women wrestling to make a top ten list. These are the best ones. Halloween is almost here, which means more Halloween related, wrestling pop culture content. And while the wrestling horror movie sub-genre is still a work in progress, you can still get your Halloween/wrestling fix by watching these 10 wrestling episodes from TV shows that deal with the supernatural. And the best part is, most of these shows are either streaming on Netflix or Hulu. Sadly, here’s another Cheap Pop Culture post based on somebody talented passing away. RIP Jack Davis. Before Cracked became a listicle site and a podcast, and you were more likely to try a MAD Magazine fold-in than you were to look through its Twitter feed, these humor magazines served a purpose to many a youth when it came to satirical skewering of the pop culture we were surrounded with at the time. 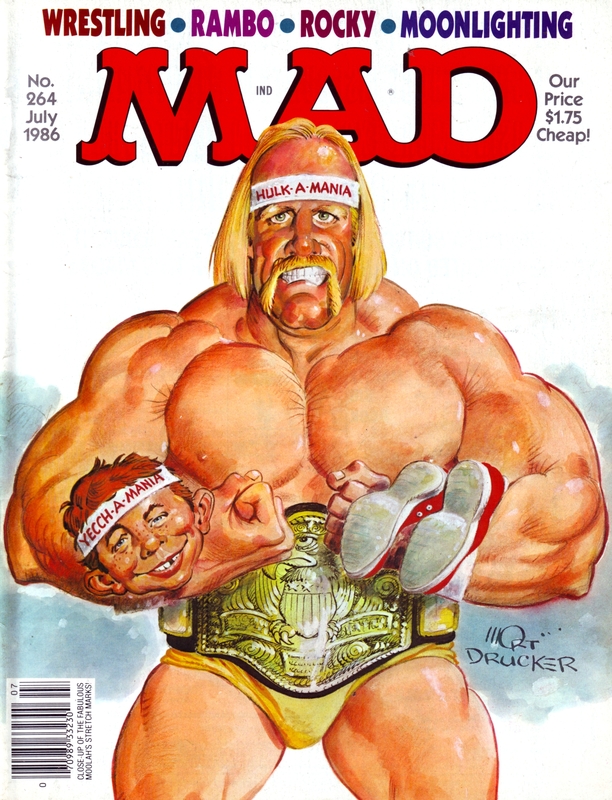 As wrestling caught on with the masses so did its coverage on many national magazines, giving us some pretty awesome Cracked and MAD magazine cover illustrations. Previously, I covered the best All-American wrestling attire that’s ever been worn inside the squared circle. 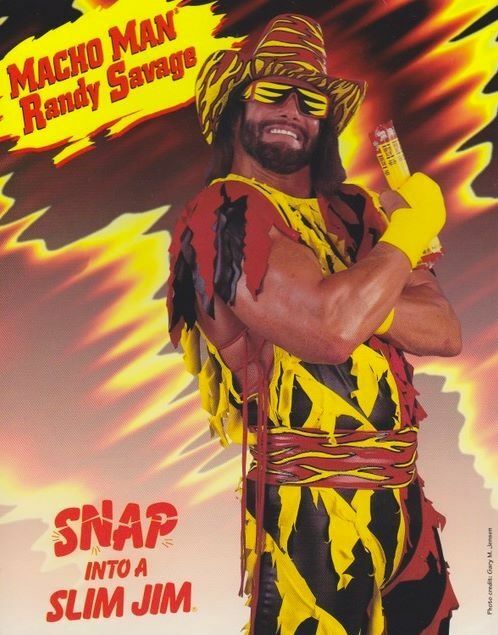 And it still stands as the definitive guide in patriotic wrestling gear. Now, in celebration of American’s independence, I’d like to bring to your attention the most All-American fictional wrestlers to come across pop culture.